(SG/JGO) (Montreal) 2002 - 2005. Framable Color Prints and Posters. Digital Sharp Images. Aviation Gifts. Slide Shows. 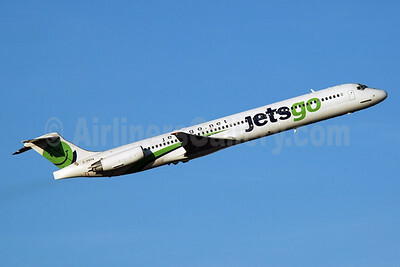 Jetsgo (jetsgo.net) McDonnell Douglas DC-9-83 (MD-83) C-FRYA (msn 53488) YYC (Chris Sands). Image: 925287. 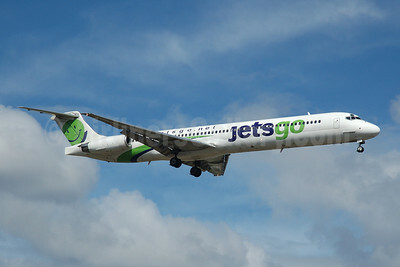 Jetsgo (jetsgo.net) McDonnell Douglas DC-9-83 (MD-83) C-GKLC (msn 53468) FLL (Bruce Drum). Image: 100555.